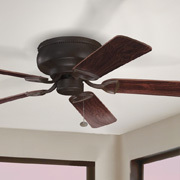 Nothing helps you maximize your utility budget like energy-efficient ceiling fans. 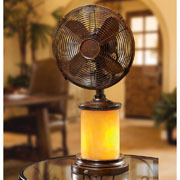 With the right fan, you can keep cool, save money and create an exciting focal point for your room. 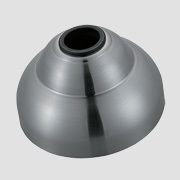 No matter your style, we know we have something for that will match your personal taste in ceiling fans. At Hobrecht Lighting, we have one of the largest showrooms in the Sacramento area, and it is full of many different kinds of light fixtures, ceiling fans, chandeliers, lamps and home decor in every style you could ever hope to find. 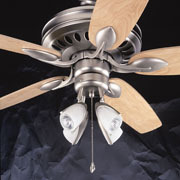 From traditional to contemporary, find your ideal ceiling fans in our lighting store. 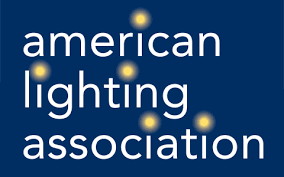 Browse our selection of lighting products online to see what we have to offer, or to see our ceiling fans in person, stop by our lighting showroom to speak with one of our lighting experts. Ceiling fans are functional, but they’re also much more than that — they can be beautiful and can make for a great focal point in any room. Fans range in style from contemporary to Victorian and can include multiple light sources to create the exact look that you’ve always wanted. 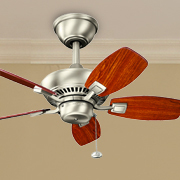 On top of actual ceiling fans, we also offer several other ceiling fan-related items, such as fan blades, fan controls, fitters, light kits and fan accessories. 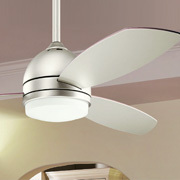 Whatever you need for your fan, we’ve got it here in our Sacramento lighting showroom. 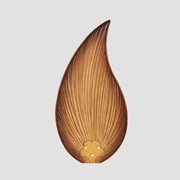 Need help finding the perfect fans for your home or office? 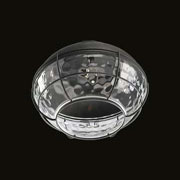 Schedule an appointment with one of our lighting experts, who can help you with everything from sizing to design. 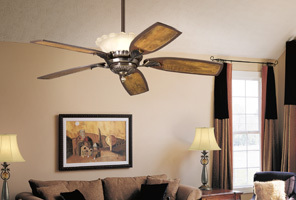 When it comes to shopping for ceiling fans, you might not know where to start. 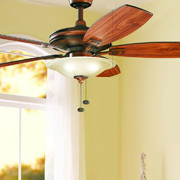 Luckily, finding a ceiling fan that is both functional and beautiful doesn’t have to be as difficult as you’d think. Determine your desired location. 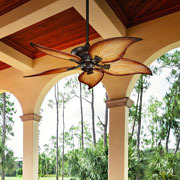 Figure out whether you want your ceiling fans to be indoors or outdoors — or even both. Choose the best size. Measure the height and width of your room before committing to a certain ceiling fan to ensure it will fit in your desired location. Take photos of the room beforehand. 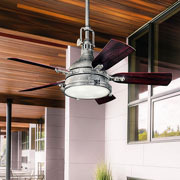 When worse comes to worst, photos of your desired location will help our lighting professionals find a ceiling fan that should be able to fit in it. Figure out your style. 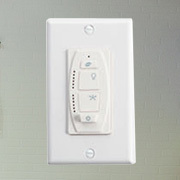 What will the ceiling fan be used for? What other decorations are in the desired area? 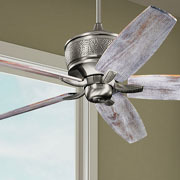 Before you decide on a ceiling fan, figure out the style of the room first. 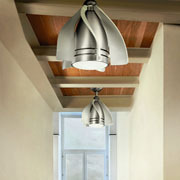 Come by our lighting showroom in Sacramento to find the perfect fan to fit any of the rooms in your home. Still not sure where to start? 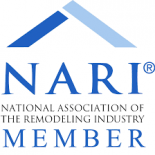 Feel free to schedule a consultation with one of our lighting experts — we’ll be more than happy to help. Whether you’re looking for ceiling fans for the interior or exterior of your Sacramento home, we want you to be happy with whatever fan you decide on. 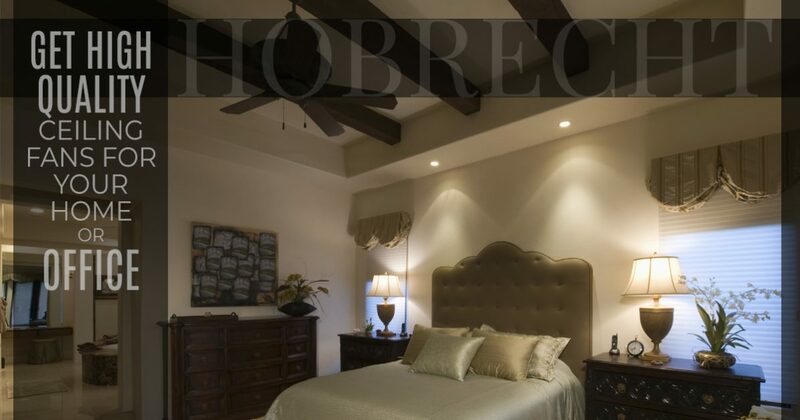 That’s why at Hobrecht Lighting, we only offer the best ceiling fans from some of the most trusted national brands and manufacturers in our 18,000-square-foot lighting showroom. On top of all that, we keep our selection up-to-date and rather large so that you’re bound to find something that will fit within your budget. 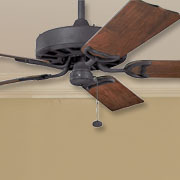 Shop for your ideal ceiling fans for your home or office today.